Yesterday, I said goodbye to the marshlands of the Great Salt Lake. Tomorrow, I head to an area near another large saltwater body, the Salton Sea. The birds and topography are sure to change, and with that, come new stories and experiences. As exciting and sweet as exploring new lands can be, it comes with the bitterness of leaving the loved behind. Life is fluid, and this dynamic is inevitable. Embracing the shift, I decided to bird a favorite spot, Farmington Bay WMA, for one last time before I head south. Undoubtedly I will reunite with the place, but it will be long before I do. The day was clear and sunny, and the birds were active. I accompanied a friend, Mitch, on his second day with new camera equipment. It was nice to see someone as excited as myself with the opportunity to search out winged creatures and capture their allure on film. Throughout the afternoon, we watched the plentiful usuals with delight. 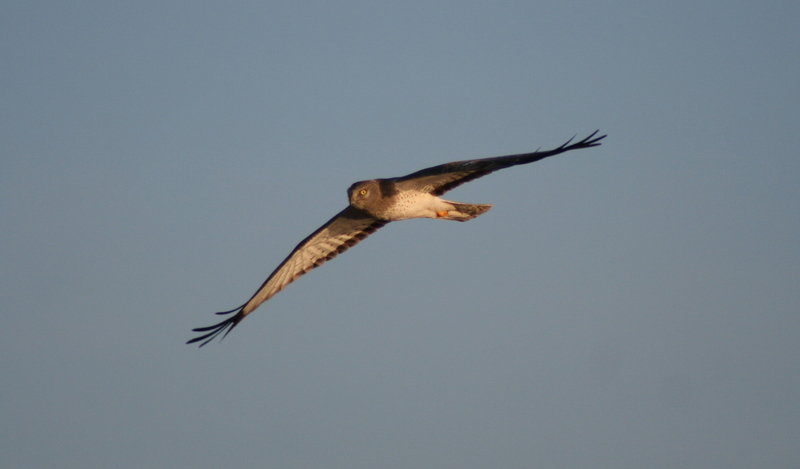 The wandering flight of the Northern Harrier is a spectacle. Although the bird is plentiful, I never grow tired of watching its slow travel above the Phragmites, and the occasional dramatic flip when unsuspecting prey is found. If you sit sedentary and wait, eventually a Harrier will wander overhead, and provide perfect opportunities to capture their fierce gaze. Many who see the Harrier for the first time comment on its owl like appearance. Truly the bird has a face reminiscent of an owl, due to a similar morphology. Harriers possess a facial disc much like that of the owl. This disc allows sound to funnel directly to the birds ear, creating hypersensitive hearing. As the bird wanders the fields, it hones is hearing to any rustle of its small prey. When it senses anything, it rolls dramatically to pounce upon the poor creature. I have never observed a tactic like this from any other bird. The behavior is incredible, and as I stated before, it is a spectacle to behold. The Harrier is sexually dimorphic. The male is a ghostly grey above, white belly below, with black tipped wings and piercing yellow eyes. The female wears beautiful brown, with a heavily streaked belly. Juveniles resemble the female, differing with a brilliant orange belly. 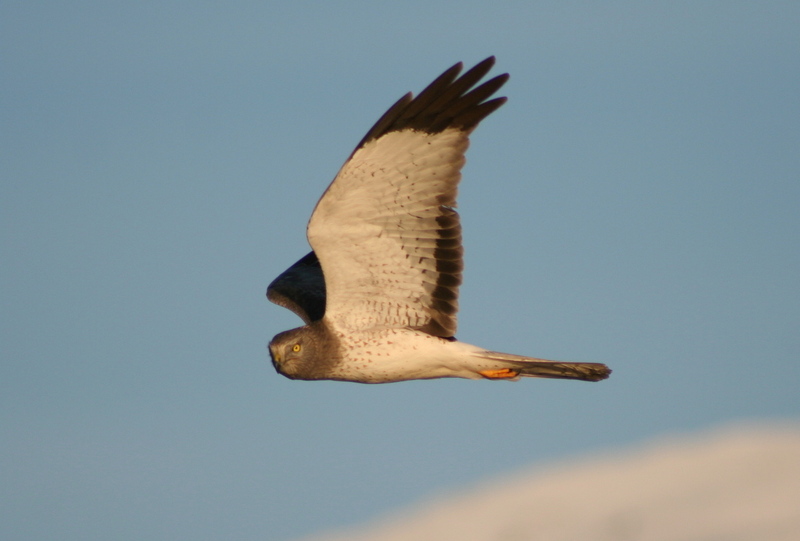 With long wings and tail, and distinctive flight and hunting behavior, the Harrier is among the easiest of the raptors to identify at a distance. Mitch and I had an afternoon full of fun, and as the sun sank and our souls relaxed, we watched the golden light highlight the hunting birds. It was a satisfying goodbye, and as we left I felt comfort with my move, and the place I was to leave behind. As they say, out with the old, in with the new, and as I travel on I pledge to continue to chronicle the life of birds and b. The Farmington harriers are one of my avian passions – so much so that the vanity plate on my truck reads “HARRIER”. I especially enjoy your last photo with the nice wing position and great head turn from the male. Catching a shot of one of these birds as it “rolls dramatically” is a supreme challenge for the photographer and a constant quest for me that has seldom been fulfilled. Truly! I plan to upgrade my equipment soon and resolve to capture the bird in the midst of its most captivating moves and behaviors. 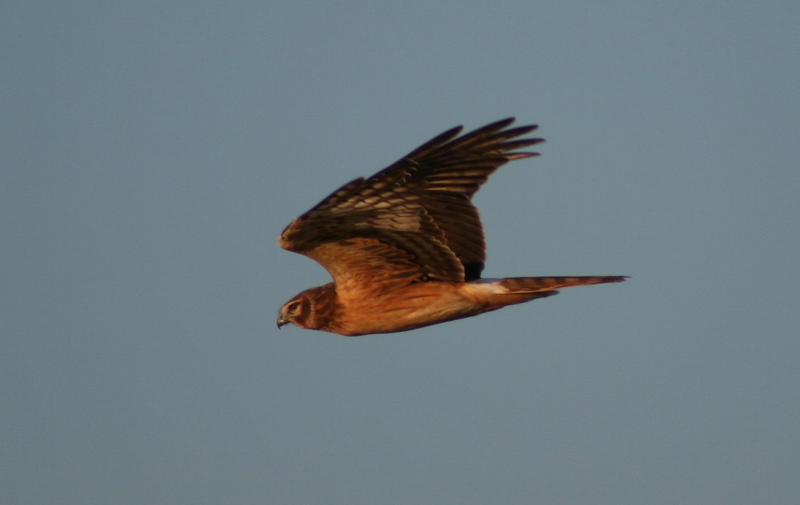 From paying attention to your blog the past year, it is obvious you are enthralled with the Harrier. I hope you have luck, and can’t wait to see your future photos.